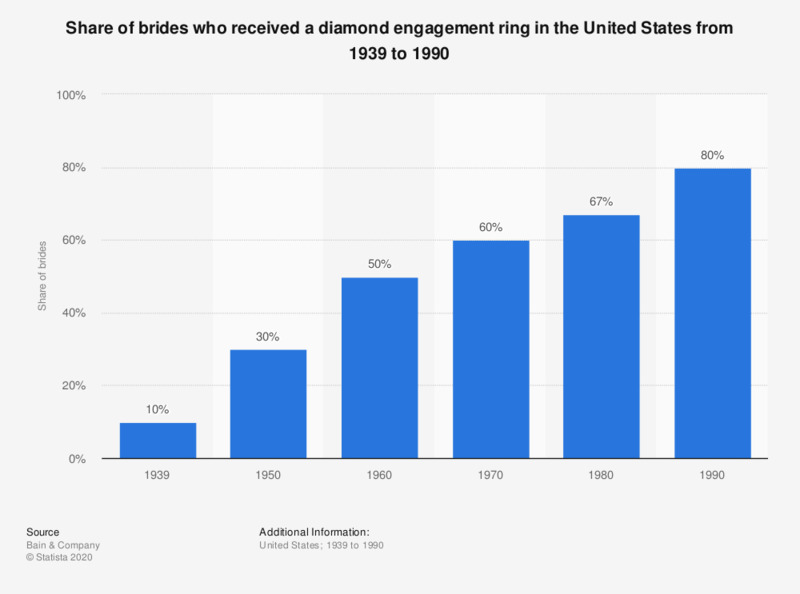 This statistic shows the share of brides in the United States who received a diamond engagement ring from 1939 to 1990. In 1939, approximately 10 percent of brides received a diamond ring for their engagement. If you own diamond jewelry (other than an engagement ring), what sort of jewelry is it?